Novak Djokovic stood in the tunnel, eyes closed, breathing purposefully, with the hint of a smile at the corners of his mouth. Even though he was about to serve to stay in his third round match against Sam Querrey, it seemed like a foregone conclusion — Djokovic would win, surely. His force field, a net made of meditation, vegan foods, and Boris Becker wouldn’t relent, right? Not to a laid-back American who appeared on Millionaire Matchmaker, right? There’s a suffocating quality to a Djokovic win. He figures out his opponent’s strengths and dulls them to the point of uselessness. So, you’re a big server? He will return your hardest serve for a winner. You can run like a gazelle? He will track down your last shot, and hit an unreachable response in a position that resembles yoga more than tennis. You fight hard? He will stay with you as you wear yourself out, and then he will take you out. By the end, his opponents forget they even had strengths to begin with. The scoreboard said 7-6, 6-1, 3-6, 5-4, but that felt temporary. That hint of a smile said that a fifth set was coming…soon, and that Djokovic would run away with it. His uneven performance was irrelevant. Just ask Kevin Anderson, who was up two sets to love last year. Or Gilles Simon who managed to lose a match where Djokovic hit 100 unforced errors — 25 games’ worth. Enter the dancing American looking for love. Maybe he was too laid back to worry about Djokovic’s strengthening grasp on the match. Or maybe he just didn’t think about it. When the match restarted on Saturday, Djokovic raced to a 5-0 lead, but Querrey, instead of conceding the set, made a 3-0 run, before Djokovic could close it out. In the fourth set, Querrey proved even slipperier, saving 11 break points, often with aces that left Djokovic uncharacteristically flailing. 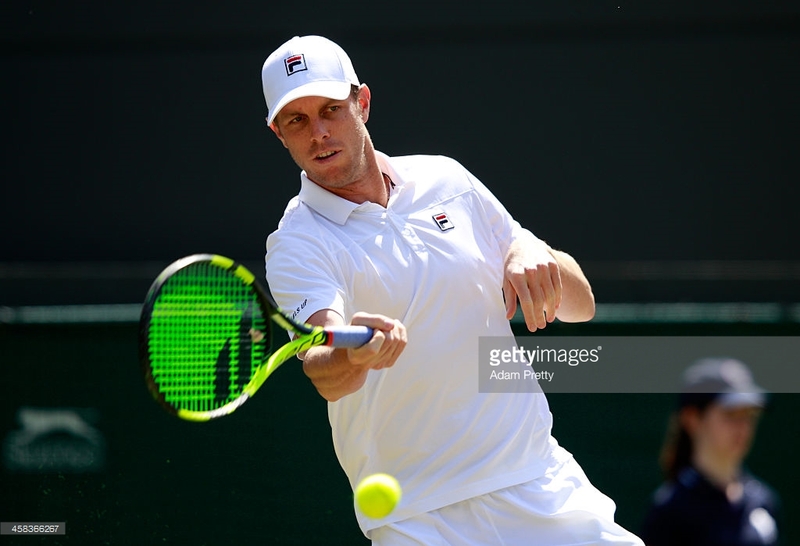 But in between those moments of hanging in, there were mishits that fell in, and routine misses that made it feel that Querrey’s survival thus far was as much by chance as it was by will. There’s not much left to chance in Novak Djokovic’s world these days. Every aspect of his rise has been built, piece by piece. A mostly-vegan diet has rid him of his allergies and helped him to perform at peak levels, constantly, it seems. Flexibility training has made him limber enough to reach his opponents’ furthest shots yet durable enough to avoid injuries despite his demanding movement. Yet, perhaps the biggest change Djokovic has made is his mindset. Long gone is the playful teenager who did impressions of his opponents and peers and retired from matches with injury and illness. In his place is a man who has adopted the mien of his times — gentlemanliness at all costs — and mindfulness techniques, to tame a competitive spirit that is at odds with a sport created in the images of Roger Federer and Rafael Nadal. That isn’t to say that Federer and Nadal aren’t competitive — surely they are, yet they prefer to do combat without combativeness. While Boris Becker has helped him to transform his inner fire into the bold confidence needed to dominate his peers on a daily basis, Djokovic’s matches can still be punctuated with angry outbursts, as he struggles to harness his thirst for battle. 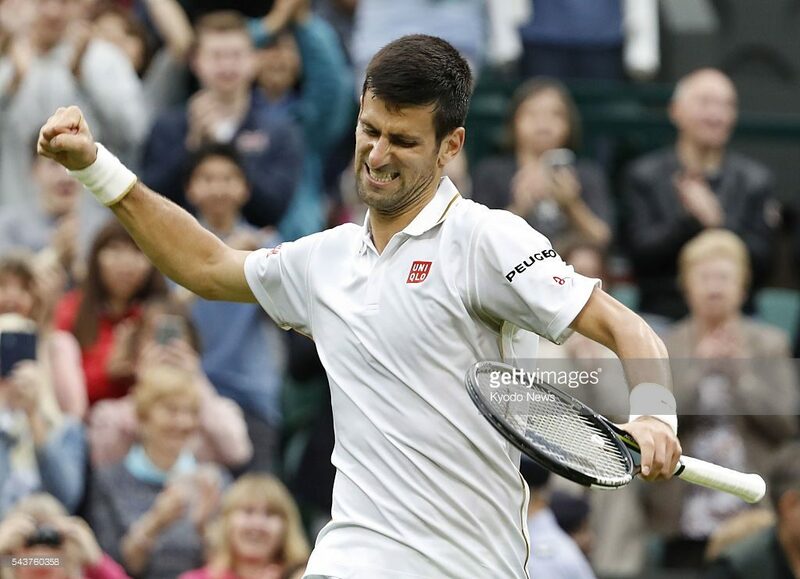 As Querrey continued to stand his ground, it was Djokovic’s mind that relented. This wasn’t a loss due to a bad serving day or a forehand that couldn’t find the court. It was the stress of winning four Slams in a row, and going for the calendar year Grand Slam. It was the relentless pursuit of excellence that has been without peer for the better part of the last five years, the effort to cement one’s place in history. And it was the frustration of doing everything right, but not being able to summon one’s usual arsenal in a tight spot. And it was Sam Querrey’s refusal to fold, despite having every reason to do so. Yet, mere minutes after the match, there was Djokovic, in his press conference, giving measured answers, and refusing to discuss his injuries. He wasn’t expansive, but he hung on to the politeness expected of tennis players these days, even in the face of a devastating loss. He’s told us that he’s moved on, and soon enough, that will be the truth. But for now, we can marvel at the unlikeliest survivor of the Djokovic onslaught, a laid-back guy who happens to be a pretty good lip-syncher.